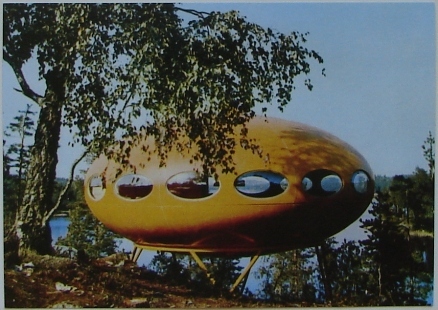 As time passed I became more and more immersed in researching the Futuro House both from a historical and a current perspective. 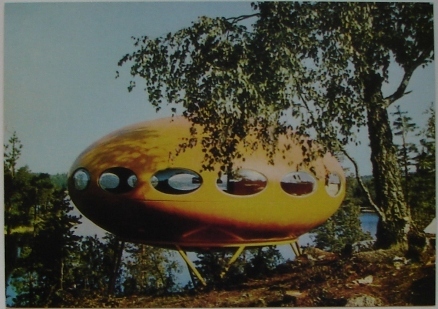 The early blog post grew into "The Futuro House Project" which was still in theory a "post" on the blog though it grew far beyond a simple "post" and the blog itself really stopped growing as all of my spare time went into my new interest [perhaps some might say obsession] and eventually I transitioned "The Futuro House Project" to its own domain TheFuturoHouse.com. 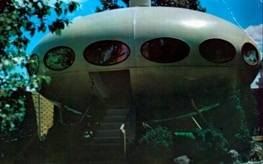 This site has since become the most complete resource for information about the Futuro House anywhere with history, both general and specific to individual units, a large collection of memorabilia, books, magazines, newspaper articles and multiple document archives [here and here] relating to the Futuro, a constantly updated listing of all current known locations and a Google Map of those locations worldwide. I have also been fortunate enough to be able to visit several Futuros in the US, Finland and Germany [11 to date] and hope to visit more in the future. 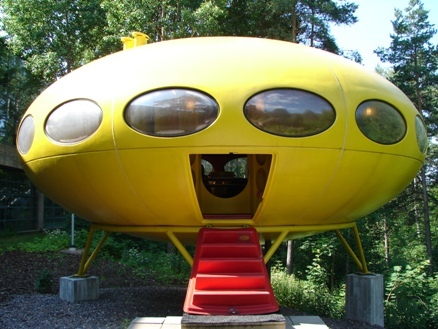 Think IFHDB [Internet Futuro House Database] the Futuro equivalent of the IMDB! 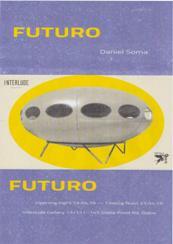 Now immerse yourself in the fascinating world of the Futuro House. 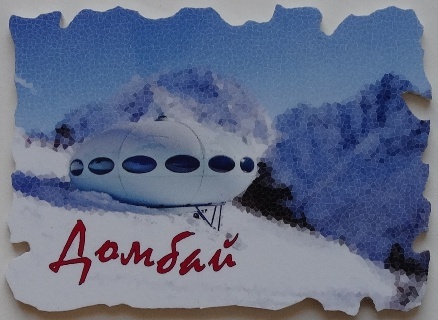 Many websites and other media report the presence of Futuro Houses in Antarctica. Indeed when I first started out on my "Futuro Journey" I was one of them and I added pages to this website for each of these units. 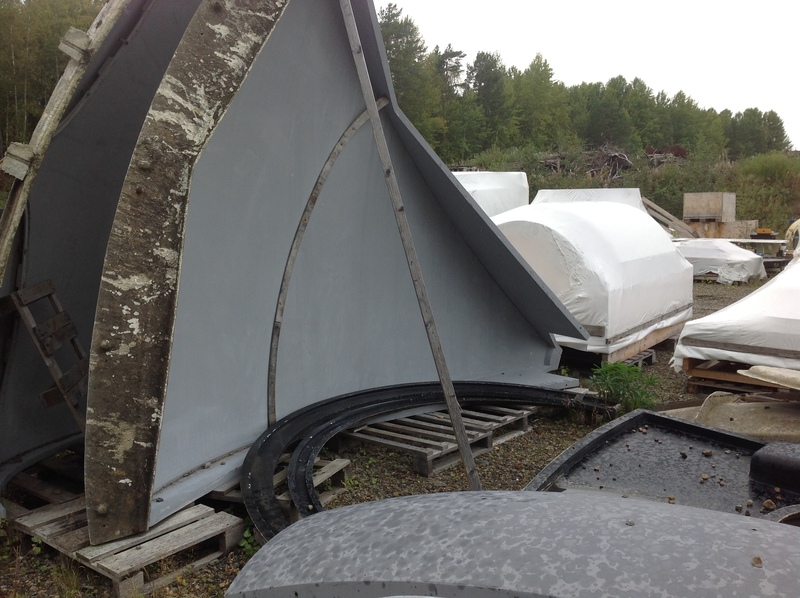 However research later confirmed that the units in the Antarctic region are not Futuros; they are in fact what is known as "Googie Huts". 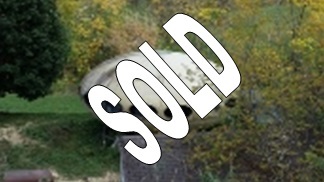 For the record I have retained this content on the site even though the units are not Futuro Houses; more information on "Googie Huts" can be found on this page. 032918 saw the 50th anniversary of the introduction of Matti Suuronen's Futuro House to television and the press at the Polykem factory in Hiekkaharju. This photo of the event by Lasse Nio was shared by the WeeGee Exhibition Center, home of the fully restored Futuro #001, on their Facebook page 033018. During the course of 2018 [051518-021719] the WeeGee Exhibition Center will run a program of events celebrating the "50th Birthday" of Suuronen's iconic creation. These events are detailed on kulttuuriespoo.fi and listed below for reference. 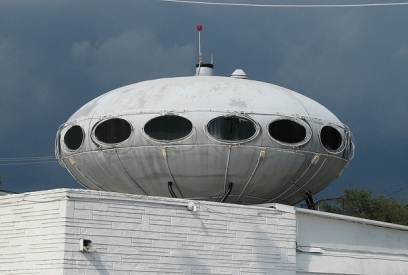 The WeeGee Exhibition Center added Futuro #001 to is collection some years ago and, following an extensive restoration, the Futuro has been open to the public each summer since. In 2018 the Futuro will be open 051518 through 091718; more details can be found here. 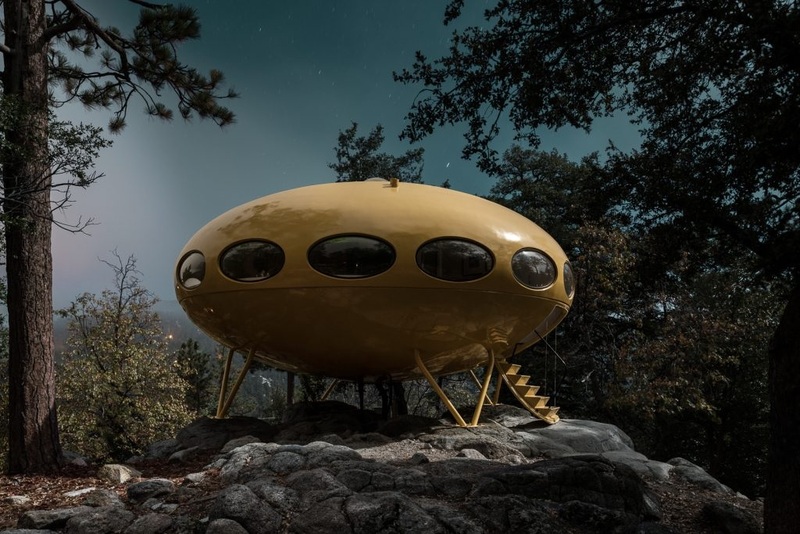 "Studio Suuronen will feature the Futuro World exhibition, which showcases the Futuro house, completed in 1968, and its distribution across the globe by means of photographs, captions and map graphics. 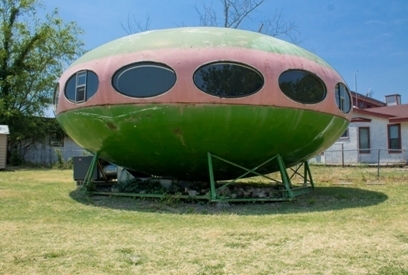 The exhibition will feature photos of almost 50 Futuro houses from various corners of the world. In addition, there will be some interior photos illustrating their different decoration styles." As a part of the 2018 celebrations the exhibition is being relaunched as "Futuro World 50 Years" and will run 051518 through 123118. 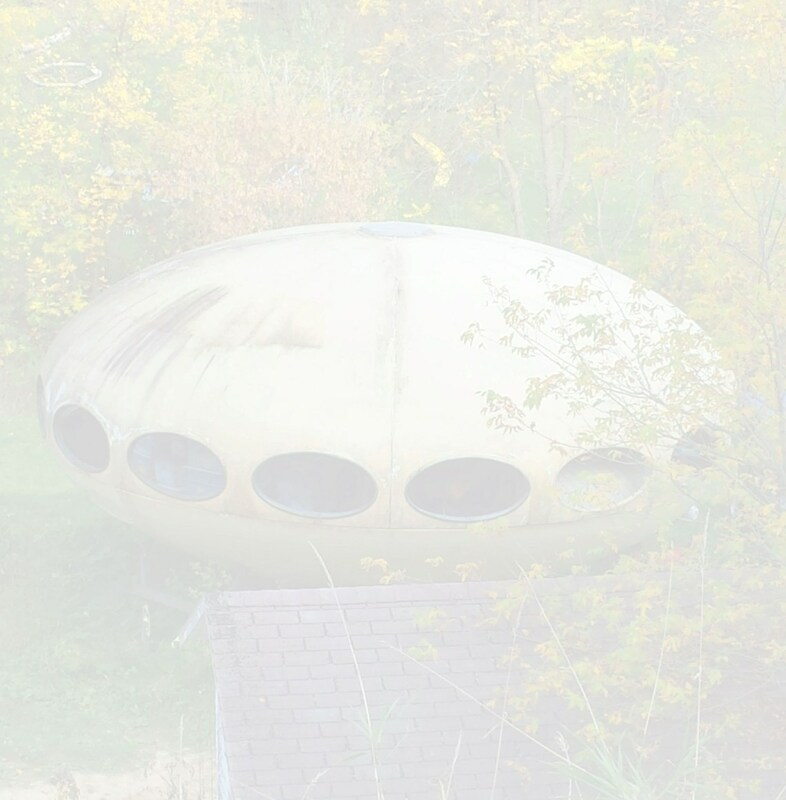 "Talking About Futuro" is a series of lectures that offer a chance to learn more about the Futuro house, the utopian visions of modernism and the inspiration they provided for artists. Details can be found here. The current program is listed below but note that the website carries the disclaimer that the program is subject to change. 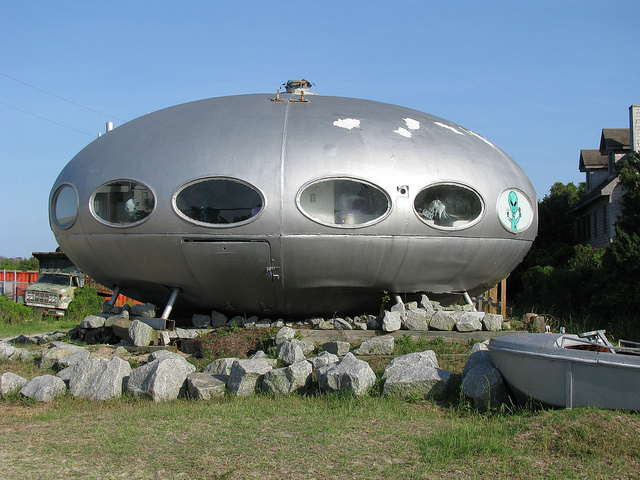 Art historian & Futuro specialist Marko Home discusses the colorful phases of the Futuro and the current situation of the Futuro houses in various corners of the world. 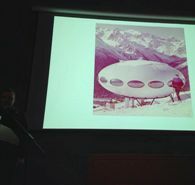 Art historian and Futuro specialist Marko Home talks about architectural utopias that preceded and succeeded the Futuro. Chief Curator Arja Miller, curator of Plastic Heart, interviews visual artist and film director Mika Taanila about the planning of, inspiration for and work stages of the artwork celebrating Futuro's 50th anniversary. Curator Laura Kokkonen, curator of Futuromania, talks about how the exhibition was planned and about its content. 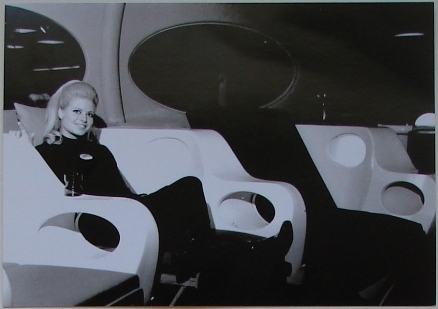 "Futuromania - Designing Future Living" casts a glimpse back at the futuristic utopias envisioned by Finnish architects and designers back in the 1950s and '60s and will run 060618-021719. The exhibit looks at the bold visions of the future dreamed up by classic Finnish designers over half a century ago and how their utopian ideas about boundless free time and unlimited resources match up with the reality of today? Residential and urban planning schemes by Aarne Ervi, Vuokko Eskolin-Nurmesniemi, Antti Nurmesniemi, Armi Ratia, Aarno Ruusuvuori, Matti Suuronen and Tapio Wirkkala will be presented alongside a new installation by Aamu Song and Johan Olin (Company). "... a multi-channel sound installation paying homage to the Futuro. Taanila created the artwork using only authentic sounds associated with the plastic material from which the Futuro is constructed. Plastic Heart can be heard in August and September inside the Futuro: the oval interior transforms the house into an echo chamber, immersing the visitor in the musical "birth story" of the Futuro." Following an official opening 060117 the Futuro previously located in Witten, Germany will be on diaplay at "Die Neue Sammlung - The Design Museum" [The New Collection - The Design Museum], one of four state-owned houses belonging to Munich's Pinakothek der Moderne through 060318. 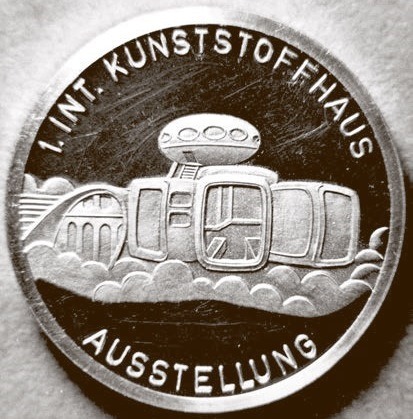 In addition there will be a series of accompanying events the first of which will take place 072317; "Alles, was Sie schon immer über das FUTURO wissen wollten" or, according to Google Translate, "Everything you ever wanted to know about the FUTURO", is a series of 4 lectures on Futuro given by Dr. Elke Genzel and Dr. Pamela Voigt, experts in plastic architecture, Cora Geißler, owner of the Berlin Futuro, Marko Home, Futuro historian and co-editor of "Futuro: Tomorrow's House from Yesterday" and Tim Bechthold of Die Neue Sammlung. Craig Barnes' UK Futuro will make a temporary landing in Les Jardins Suspendus [The Hanging Gardens] in Le Havre in the Normandy region of France in the summer of 2018. The Futuro will be there 062318 - 092318. For more information see the UK Futuro page. "2018 marks 50 years since the Futuro was designed. Architect Peter Dermoudy brought one to Darwin and lived inside it in 1970s. Curated by Koulla Roussos, the lightbox exhibition is across The Mall, Chinatown and Nightcliff Pool with new works by Polly Johnstone, Fernanda Dupal, Tarzan JungleQueen, Matthew van Roden and Gloria Richards." A Facebook page with a little more information for the event can be found here. Photographer Tom Blachford's ongoing photographic series "Midnight Modern" is described as being "an ongoing series and exploration into the interplay between Architecture, Moonlight, Mountains and the tension of an unspoken narrative". I do not pretend to "get" art and I have no clue how to interpret the phrase "tension of an unspoken narrative" in the context of the photos but I will say this - the photo of the Idyllwild Futuro included in Series IV of "Midnight Modern" is absolutely one of my favorite all time Futuro photos. 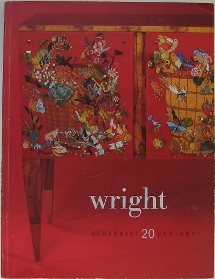 At the time of writing through 030318 "Midnight Modern Series IV" is on display in Sydney, Australia at the Michael Reid gallery. The Futuro photo is available for purchase at $3500 unframed and $4700 framed, a little "rich for my blood" despite the fact that I do love the photo. "In the middle of the winter, in the middle of the week, in the middle of Munich we invite everyone to the FUTURO to Finnish dance music and Glögi - the Finnish version of the Glühwein! 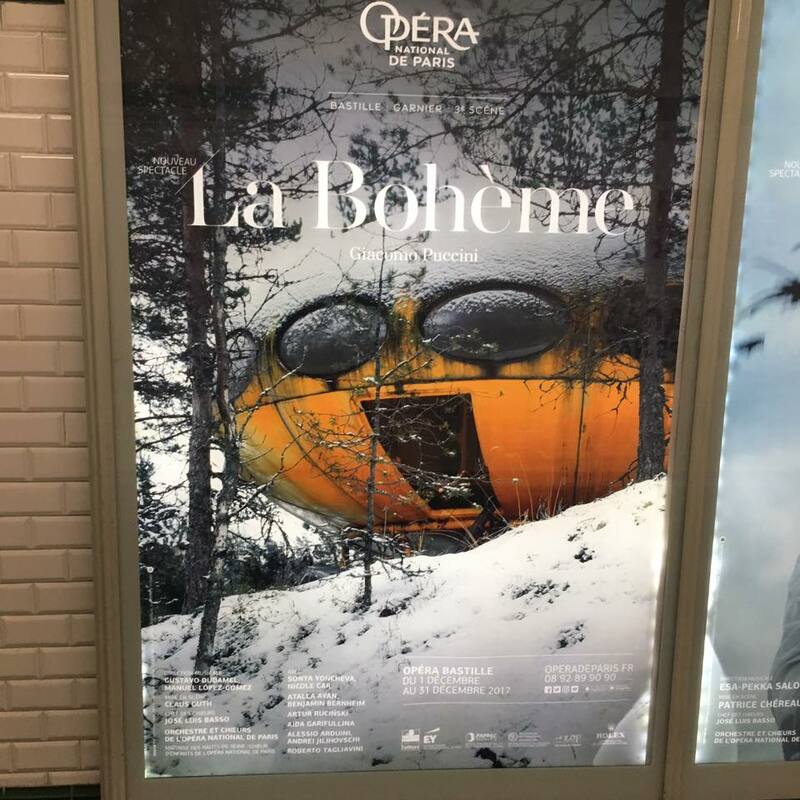 [Mulled Wine]"
Not a Futuro event as such but added here because a Futuro photo is being used in the publicity materials for the Paris Opera presentation of La Bohème that runs 112817-123117. The only reason I can think of for the use of the photo would be the opera, according to Wikipedia, presents a collection of vignettes portraying young bohemians; Wikipedia defines bohemianism as "the practice of an unconventional lifestyle" and the Futuro might easily be described as unconventional. The photo above heads the Paris Opera webpage for this opera; the one below appeared on Facebook, posted by Vincent Cheroux, and is a shot of a poster in the Paris metro. Sydney artist and arts worker Daniel Soma has created a Futuro related art installation for The Finnish Crazy Games [092317-092417] at the Embassy of Finland to Australia as part of the celebration of the centenary of Finnish independence. 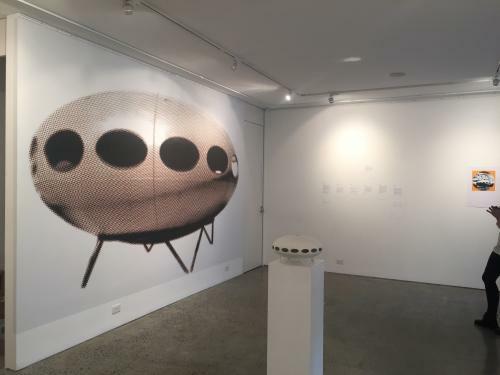 The installation reprises Daniel's 2016 case study and exhibition, FUTURO!, that took place at the Interlude Gallery, Sydney, Australia between 041416 and 042316. The 500X Gallery in Dallas, TX is currently hosting a show titled "A Hard Place". 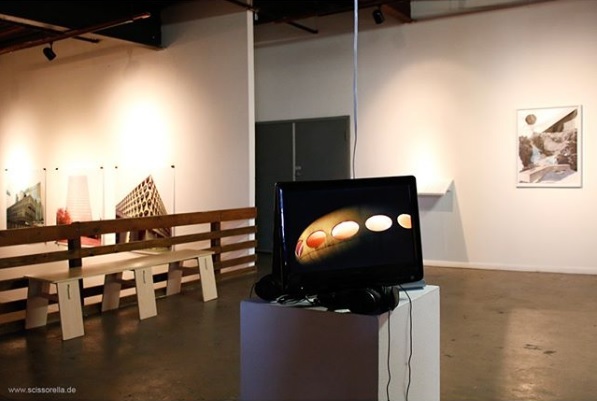 One of the features of the show is video entitled "Ellipsoid Episode" by Julia Zinnbauer. Despite the fact that I actually live in Dallas I only heard about this today and with the show ending tomorrow I might have missed the chance to see it. 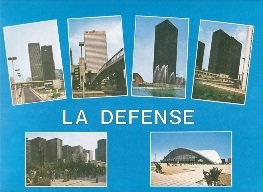 The Marseille Futuro, along with other structures, will be on display as part of an exhibition titled "L'Utopie De L'Habitat Plastique" or, according to Google Translate "The Utopia Of Plastic Habitat" which is subtitled "Years 1960-1970" and scheduled to run July through September 2017 at la Friche de l'Escalette outside Marseille, France. On the first Wednesday of every month "Futuro 22" is open for public tours. The Futuro is located on third floor terrace of the University of the Arts London's Central St Martins' building. Tickets can be purchased online here. For the last several years Australian performers Tim Ross and Kit Warhurst have taken temporary possession of Architecturally significant buildings to present a show that skillfully blends storytelling, music and design. 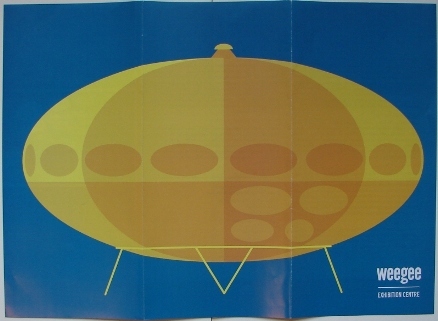 On June 15th they will present their show, "Man About The Futuro House", in Craig Barnes "Futuro 22". Tickets can be purchased here. 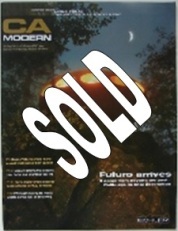 On Monday June 12th Craig Barnes will discuss how he bought and renovated "Futuro 22". The talk is hosted by the Bath Royal Literary & Scientific Institution. It is unclear, at least to me, whether the talk will be actually in the Futuro or in Bath at the institution but either way I am sure it will be a very interesting event. 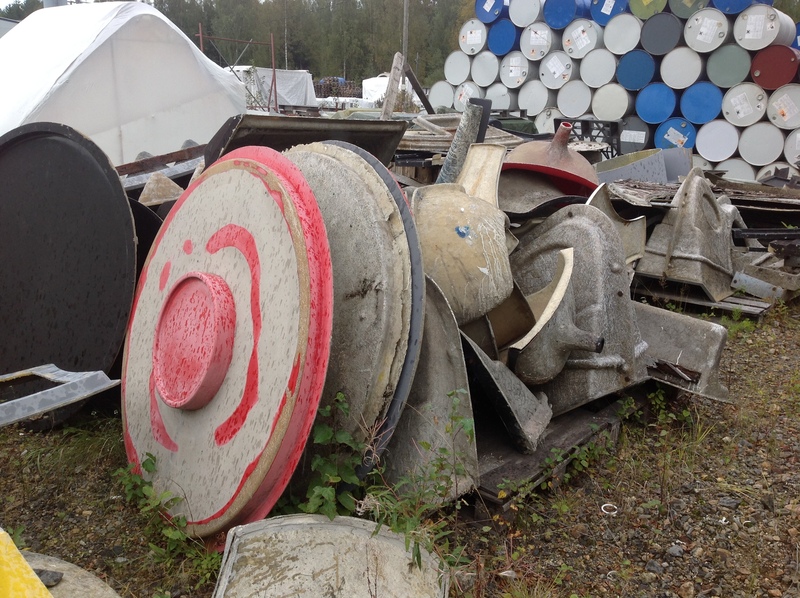 Futuro #001 is a part of the collection of the WeeGee Exhibition Center located in Espoo, Finland. The Futuro is open to public each year through the summer months. The 2017 season will runs from 051617 through 091717. 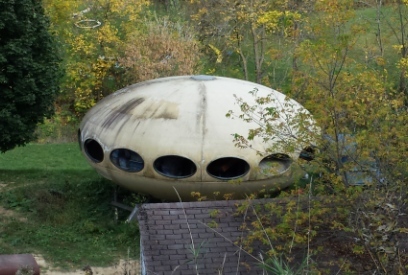 I visited WeeGee in 2014 and I can tell you that if you do have the opportunity to visit it is well worthwhile; the Futuro is perfectly restored and the staff are extremely knowledgeable about the history of the Futuro House. 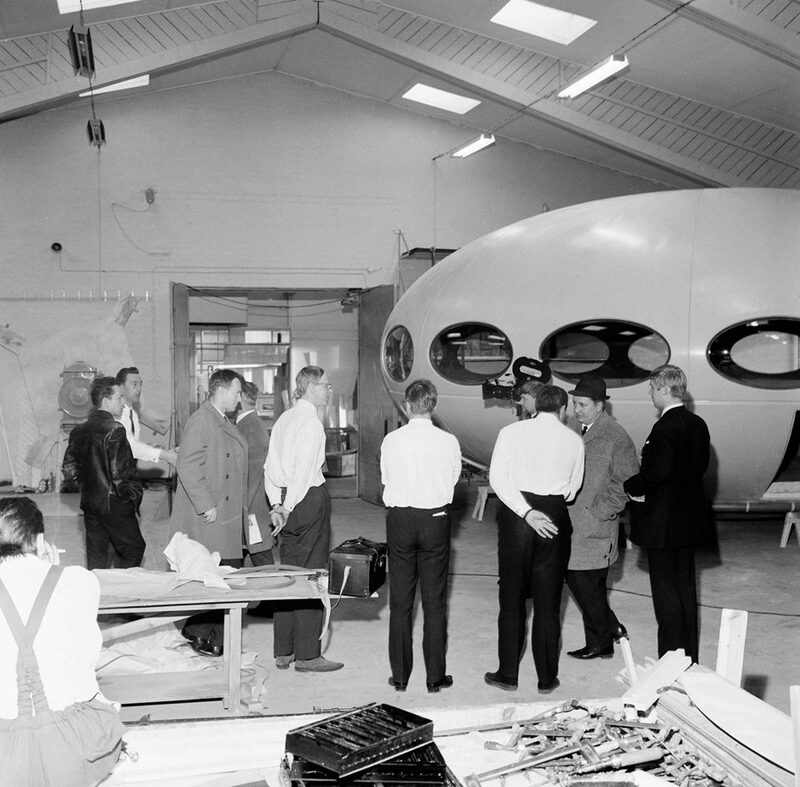 On 051117 Marko Home, Futuro historian and co-editor of the iconic "Futuro: Tomorrow's House from Yesterday" will give a talk entitled "The World Of Futuro" at the Helsinki Art Museum. 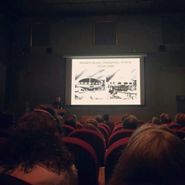 The talk is one of a series of talks under the title "HAM Talks" being given as a part of the museum's current "Modern Life" exhibition. The talk will be given in Finnish. For anyone who will be in the Tulsa, OK area 042217 that has never had the opportunity to view Mika Taanila's film "Futuro: A New Stance for Tomorrow" here is your chance. The film will be screened as a part of the Architecture & Design Film Festival, Tulsa 2017. Tickets can be purchased here. Update 030417 - The E-Bay listing ended with a sale price of £37.00. Original Information 020417 - As of 020217 an E-Bay listing offers a private tour of "Futuro 22" for up to 6 people. 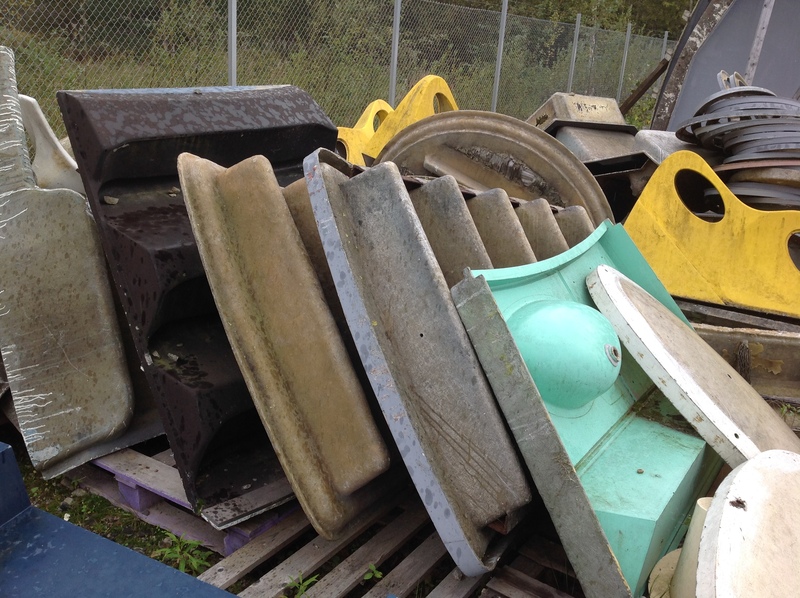 Proceeds from the auction benefit Sluice, a not for profit arts organization. The tour must be taken by September 2017. The E-Bay listing ends 021217. "... an immersive, one-night-only multi-media experience that will allow attendees to spend an evening within a work of art as creative collaborators." The Royse city Futuro is being used by Denise in some scenes and a video shoot took place at the Futuro a few weeks ago. A video preview of L'enfant Terrible can be found on the Royse City Futuro page along with a rather nice photo that Denise sent me. If you are interested in attending L'enfant Terrible or learning more about the project keep an eye on Denise's website. There is also a Facebook "Event Page" that can be found here and Denise can be found on Instagram as denise_prince_. "An evening talk with artist Craig Barnes and academic staff from Central Saint Martins Spatial Practices Programme. 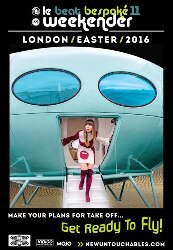 This will also be an opportunity to visit the The Futuro House, an icon of 1960s futuristic space-age architecture, restored and transported to London by Barnes and now housed on the CSM rooftop." Tickets for the event, sponsored by the Finnish Institute, cost £8 and include a complimentary drink after the talk. They can be obtained on platform-theatre.com [though at the time of writing 042916 there is no link to purchase rickets for this event on that site]. 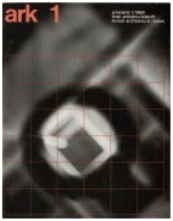 Futuro #001 is a part of the collection of the WeeGee Exhibition Center located in Espoo, Finland. The Futuro is open to public each year through the summer months. The 2016 season will runs from 051016 through 091816. 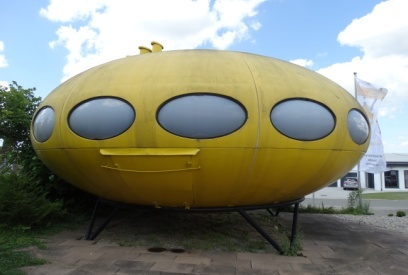 I visited WeeGee in 2014 and I can tell you that if you do have the opportunity to visit it is well worthwhile; the Futuro is perfectly restored and the staff are extremely knowledgeable about the history of the Futuro House. Update 041616 - Daniel Soma sent me the photos below which show the installation for his exhibition just prior to the opening 041416. If you are in the locality and get a chance it looks well worth a visit. Thanks for the photos Daniel and good luck with the exhibition. Original Information 040316 - Sydney based artist Daniel Soma will be putting on an exhibition entitled simply "Futuro!" 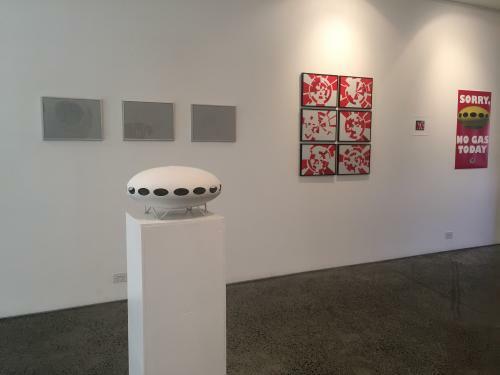 at the Interlude Gallery, Sydney, Australia between 041416 and 042316. More information about the exhibition can be found here. "a case study of failure and consequence in reflection of culture, logistics and questions of taste."" "Avoiding any possible categoric answer, Soma questions this phenomena, opening up multiple readings of an occurrence rather emblematic of the human condition. He lets you decide." "No details as yet for the live acts, just the promise of "killer live bands" as well as DJs, a riverboat party, three dance floors, guest club nights, light show, dancers and much more. 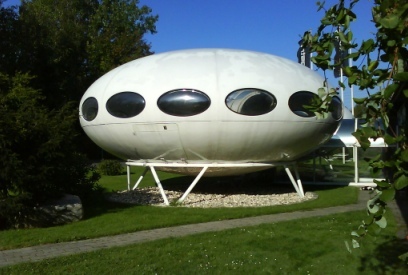 There is also the chance to visit the Futuro space age house too." Le Beat Bespoke 11 In 2016 runs 032416 through 032016. Tickets can be obtained here. As a feature of the exhibition Golden Generation. Modernism in Finnish Architecture and Design at the The State Hermitage Museum in St. Petersburg, Russia the iconic Mika Taanila film Futuro: A New Stance for Tomorrow will be screened continuously. The exhibition runs through 012316. 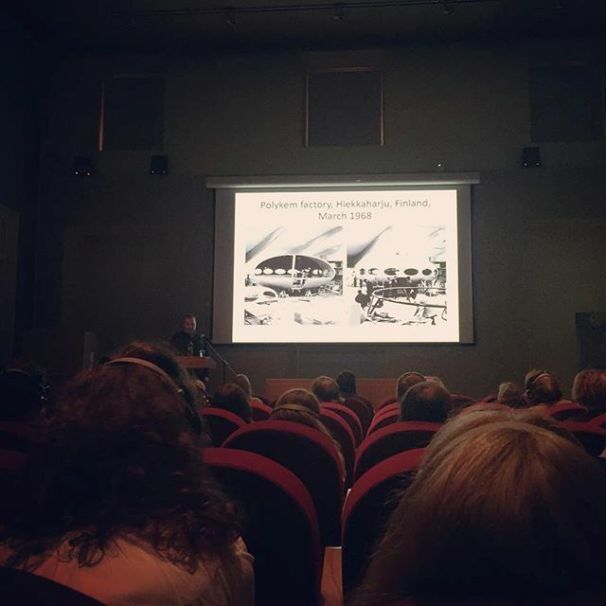 Update 122415 - The 113015 lecture by Marko Home was a great success. The 45 minute talk was attended by around 60 people; a Q&A that also ran around 45 minutes followed the talk. 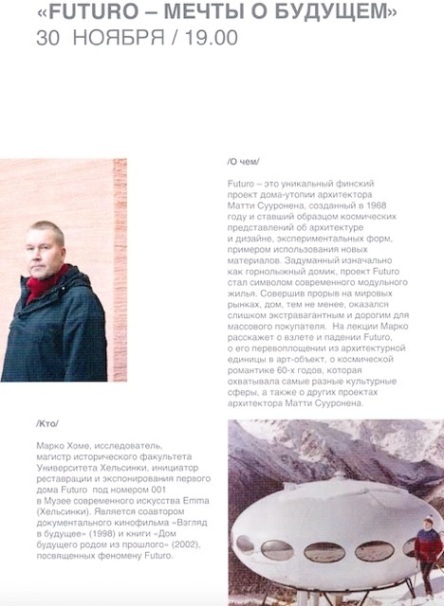 The photos below are [left to right] an excerpt from the exhibition lecture program booklet sent to me by Marko Home [thanks Marko] and two Instagram photos from the lecture by laisla and aliona_19. 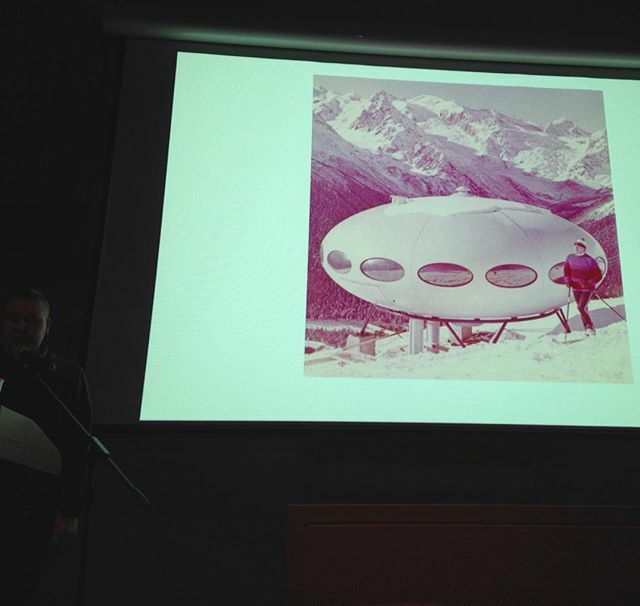 Original Information 110815 - On 113015 Marko Home, Futuro historian and co-editor along with Mika Taanila of the iconic book Futuro: Tomorrow's House from Yesterday will present a lecture on Futuro at The State Hermitage Museum in St. Petersburg, Russia. The lecture is being presented as a part of the exhibition Golden Generation. 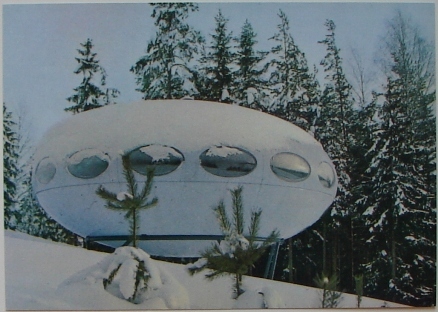 Modernism in Finnish Architecture and Design which will run at the museum from 111415 through 013115. The Saint-Ouen Futuro has been listed for sale by Architecture De Collection. The unit is listed at €130,000. More detailed information about this Futuro and the sale listing can be found on the Saint-Ouen page. 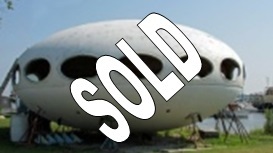 There are currently interested buyers looking for Futuro Houses in both France and the USA. 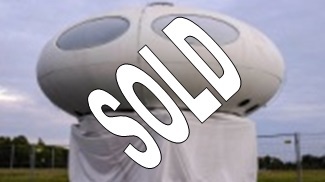 In addition Wade who is oversaw the restoration of the Canberra University Futuro has told me that he has been contacted by a buyer in Australia interested in purchasing and restoring a Futuro House. If you own a Futuro and might be interested in selling or if you know of one for sale that is not listed here please let me know and I will get you in touch with the potential buyers. You can contact me using my Contact Form or directly by email. "The eighth edition of the Triennale Design Museum, on the occasion of Expo Milano 2015, aims "Kitchen & Body Snatchers", curated by Germano Celant. Developed in close collaboration with Silvana Annichiarico and the Triennale Design Museum, the Museum exhibition is inspired from the title to the book of fiction Invasion of the Body Snatchers, written by Jack Finney in 1955 and the eponymous film based on the novel and filmed by Don Siegel, who have established themselves as works of rupture and change in the collective imagination." The museums research department has contacted me regarding the fact that as a part of the exhibition curator Germano Celant is hoping to display a Futuro House. Specifically they are looking for a Futuro that might be available for loan March 2015 through February 2016. If you know of a Futuro that might be available please contact Marilia Pederbelli [or alternatively let me know and I can pass the information along to the museum; you can email me directly or use my Contact Form]. One way and another I have managed to acquire several duplicate Futuro items that are available for exchange for other items not currently in my collections or for sale. 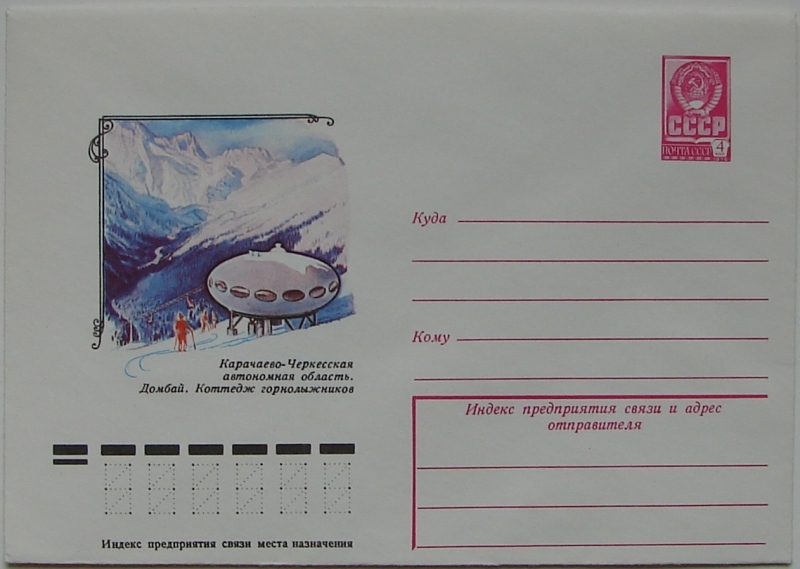 To check if I already have an item you might have available check out my collection of "Things Futuro"; if a Futuro related item you have is not listed then I am for sure interested in obtaining it. If you wish to purchase something listed here just make me offer and we can talk. You can use my Contact Form or reach me by email. If you happen to have something Futuro related for sale or exchange that I already have asnd you would like to list it here drop me an email and I will happily list it for you. 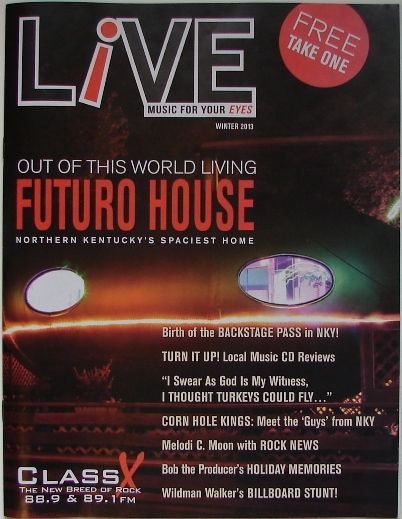 I am an avid collector of books, magazines, collectibles and miscellaneous items that feature the Futuro in some way. Items that I am looking to add to my collection are listed below. If you have any of these for sale or come across any listed somewhere on the web please let me know. I will pay top prices for quality items. 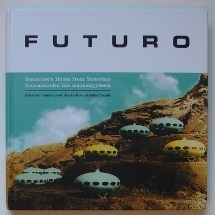 If you know of a book, magazine or other item that features the Futuro that is not already in my collection or listed here I would appreciate you letting me know; just drop me an email. If you also collects "Things Futuro" and are looking for something in particular feel free to drop me an email with the details and I will happily list it for you here.